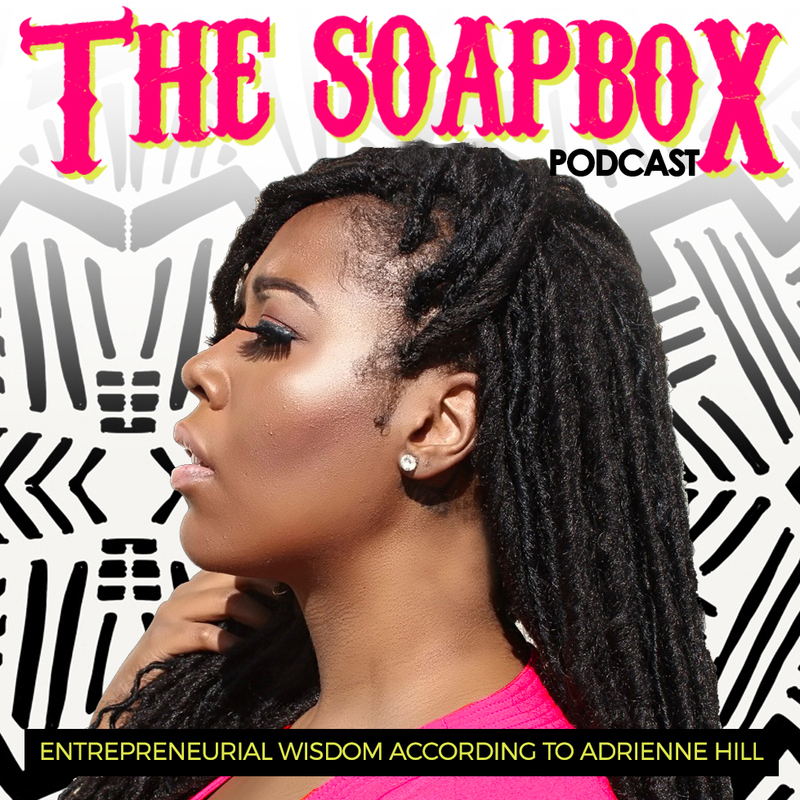 The Soapbox Podcast is a space CEO Adrienne Hill created to share her story of life as an entrepreneur. Adrienne has owned over 10 companies and began her entrepreneurial journey in high school. Having been thrusted into full-time entrepreneurship after being fired from her last job over 5 years ago- Adrienne set out to be her own boss the day she was fired and hasn't worked for anyone since (read all about that transistion-turned-testimony here). She saw immediate success by launching a branding firm that grew to support clients in over 40 countries over the span of 5 years. In 2017- she had an ah-ha moment and dissolved her branding firm, trailblazing 4 new innovative companies in its place. While entrepreneurial success is something Adrienne is very familiar with, life, however, did come with it's share of trials, tribulations and pain. Navigating through the ebbs and flows of life while growing and maintaining her businesses has made her stronger and full of wisdom! Through it all she never stopped chasing purpose. Tune in as she shares insights from her journey and sheds light on the nuggets she has learned along the way. The first episode is called "The Lens of Purpose" and it is packed with wisdom and life strategy. Tune in and subscribe to stay updated about new episodes! 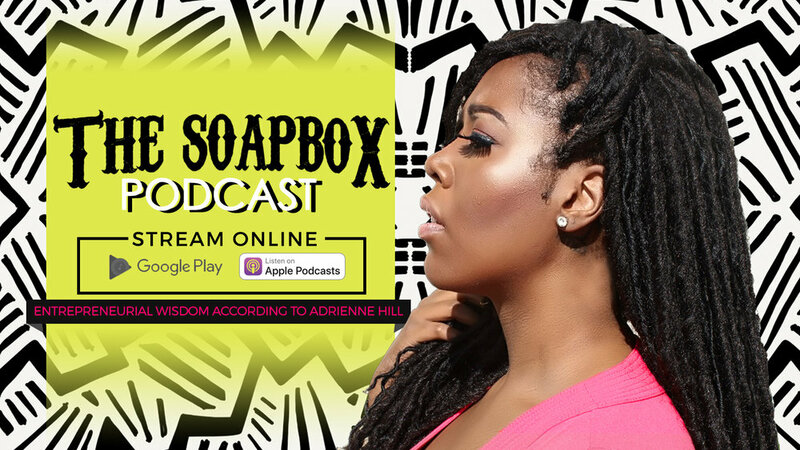 Listen to The Soapbox Podcast on iTunes or Google Play!